Ref. 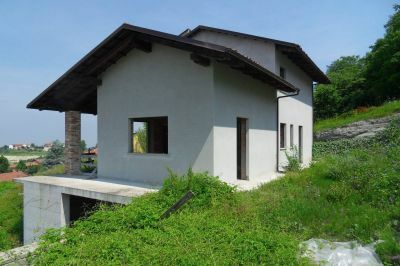 V015 - Real estate agency Centotorri offers for sale, 16km from the center of Alba on the Langhe hills, a short distance from the town center and in a panoramic residential area, independent villa to be completed, surrounded by its own private garden. The property is on two floors above ground, excluding the basement of about 60 square meters, from which can be obtained garage, cellar, boiler room and / or tavern. 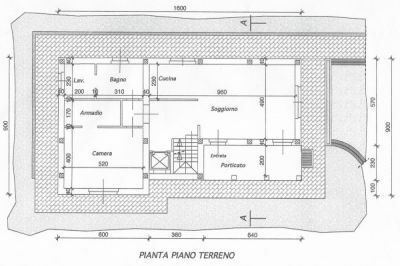 The house is spread over about 140sqm and is composed as follows: main entrance through porch on large living area with open kitchen, double bedroom with walk-in closet, bathroom, laundry and storage room, on the ground floor; two double bedrooms (with access to a balcony) and bathroom, on the first floor. The property is reached by the sewer, the methane gas and the aqueduct.